There has been a lot of fuss about new Mobile Payment solutions and many unsuccessful attempts to get a pie of normal payment solutions. Many have built solutions and applications that need special software to be installed on mobiles and some applications are just waiting for mobiles go internet. I have been insisting that mobile solutions first must capitalize on the current infrastructure like SMS to make advances in to Mobile applications, in this case mobile Payments rather than targetting for 2 years down the line handsets and usage patterns. Here is one solution that does exactly that. Simple Mobile Payment solution using SMS. FEED by Feedtribes is a hot new mobile cash service currently being trialled in Boulder, CO, and in San Francisco. There was a mad rush to build Feature RICH applications. And then there was 'Less is More' conundrum that everybody has been touting about. And if you just read it the way many people understand it and wondering what is better for your product, then for sure we are all missing the point. Joel reveals the mystery. So 'Less' in 'Less is More' does not exactly mean Startups/Developers/Designers have 'Less' to do. Infact, you got to do a lot more design to do things that looks so 'Less' and Usable. Its called 'Elegance'. And designing a elegant interface is nothing but 'less' work. An elegant solution is one in which the optimal outcome is achieved with the minimal expenditure of effort and expense. Elegant solutions embrace an overarching philosophy of doing far more with much less. (Source: ChangeThis Manifesto :: Elegant Solutions: Breakthrough Thinking the Toyota Way). Not in any sense, lack of some thing needed is 'Elegant'. And, some times it doesn't make any sense to have less when 'More' is actually elegant. Neither 37 Signals nor Joel's blog have blog posts categorized. That is pretty inconvenient for readers and yet a clever decision by design for the 37 Signals and Joel. If you are a regular reader, it might not matter. But for folks like me, who get to read blogs once in a while, categorised posts will save my time. Otherwise, Whether I like it or not, I end up reading every post on their blog. Some times end up reading posts that are totally irrelevant and useless. Many must have watched movies on Google Videos or YouTube, which are infact illegally copied clips from TV or CD or DVD. But now you can watch and download movie clips and full length movies from Google Videos while keeping your head high. BODVOD Networks announced the availability of feature films and other content on Google Video. BODVOD's content is presented under the name Saavn and available at http://www.video.google.com/saavn. The launch includes full-length movies available for immediate download representing some of the biggest recent Bollywood hits plus exclusive promotional videos, music clips, trailers, and more. Very interesting Cellular Life Styles, that are adding real value to People around the world in quite unexpected ways. Much of the growth in the telecommunications industry is coming from emerging markets - places like India and Africa and for many new consumers their first mobile phone experience is a shared one. This essay uses the term sharing in the sense of primary usage orientated around borrowing and lending rather than 'let me show you the photos I took at last night's party'. Mobile phone sharing is not just limited to personal use - from the streets of Cairo to Kampala kiosks are springing up with little more than a mobile phone and a sign advertising call rates. What happens when people share an object that is inherently designed for personal use? And based on how and why people share in what ways can devices and services be redesigned to optimise the shared user experiences? Indeed, should they be re-designed? A summary of this essay appears here and a presentation that compliments this essay entitled Shared Phone Practices: Exploratory Field Research from Uganda and Beyond can be downloaded from the resesarch dot Nokia dot com site here [7MB, PowerPoint]. In time, related posts on Power Up: Street Charging Services in Kampala, Rural Charging Services, Community Address Books & Call Logs and the Village Phone, Uganda will be listed here. Videos of 9th Annual MIT Venture Capital Conference are now available. You can watch them here: 9th Annual MIT Venture Capital Conference . Decision Making in Biotech Innovation: Who makes the Ideal CEO? Investing in Energy Technology Innovation - How Long Does it Really Take? The Future of Digital Media: Are Companies Overprices and Overhyped? For those who want to create lively Ajax based websites, mostly inspired by looking at Google applications like Gmail, Google maps, this is a great news. Google has opened to public its Web Toolkit that is being used to build its own websites. Wow! Time's Cover Story for Holidays and almost the Retrospective Climax for year 2006 is all about YOU. It named 'YOU' as the Person of the Year 2006. The YOU behind the explosion of Web2.0. That means, I am the Person of the Year 2006. (:-)) Time for celebrations !!! All the Video I shared, all those videos I watched, all those posts I blogged, all those comments I have ever written, all those social profiles I have created, all those people I met online, all those pictures I shared, all those bookmarks I shared, all those blogs I read, ................................. deserves a big pat on the back and the Award as 'Person of the Year'. Thank you Time for the Award! America loves its solitary geniusesâ€”its Einsteins, its Edisons, its Jobsesâ€”but those lonely dreamers may have to learn to play with others. Car companies are running open design contests. Reuters is carrying blog postings alongside its regular news feed. Microsoft is working overtime to fend off user-created Linux. We're looking at an explosion of productivity and innovation, and it's just getting started, as millions of minds that would otherwise have drowned in obscurity get backhauled into the global intellectual economy. Latest M:Metrics report on usage of User Generated Content and Social Networking indicates that Teens are taking Mobile Content to a new level. Figures mentioned for All Mobile Subscribers are also very encouraging. I expect these number to grow substantially during holidays in Nov and Dec.
M:Metrics examined the usage of photo messaging, video messaging, IM, chat, dating and usercreated content, including video content and ringtones, among mobile subscribers age 13-17 and 18-24 in France, Germany, Italy, Spain, the United Kingdom and the United States. Source: M:Metrics, Inc., Copyright Â© 2006. Survey of mobile subscribers. Great Minds Think Alike, Really? Frontier Visionary and Leadership Interviews for hardware, software, system related business and academia : Past, Present and Future. For some of the interviews, MP3s are also available. According to NPDâ€™s Mobile Consumer Track, personal e-mail usage on mobile phones increased from 3 percent of mobile phone users in March 2006 to 6 percent by the end of the third quarter. Unlimited Data Plans are reported to be helping the increase of Mobile Email adoption. Thereâ€™s a correlation between unlimited data plans and an increase in the use of personal e-mail. Those with unlimited data plans are much more likely to use personal e-mail (35 percent in September) versus those with limited data plans (12 percent), or those who pay by usage (7 percent). I welcome visitors to my blog with a question, "Would you like to carry an iPod, a Sony recorder, a Palm PDA, a cell phone, a digital camera, a gaming console, a GPS navigator, a jump drive, a laptop, â€¦â€¦â€¦â€¦â€¦.. OR a cool smart Cellular phone?". I strongly believe that Smartphone will rule the markets. I have also posted why it is so inexpensive to buy a multi tasking phone than buying individual gadgets that can do one thing better (Busting The myth of Smartphone Market). NewYorkTimes reports about some surprsing skills that new cellphones are equpped with this Christmas, indicating the trend towards Multitasking phones instead of plain old cell phones, that can just do one thing better. You donâ€™t need to own a smartphone or a blackberry to do multiple tasks. Almost all new phones are like smartphones that can do whatever you need. 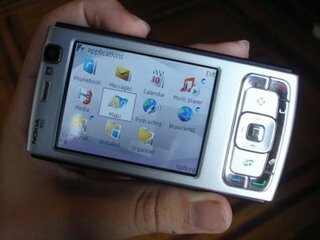 Now folks at Computer World says, "the pocket communication gadget of the future will be an "everything device." They reviewed RIM's BlackBerry 8100 phone and declared that it is the first of a radical new generation of smartphones. Like today's best smart phones, the pocket communication gadget of the future will be an "everything device." At a minimum, it will function as a laptop, digital camera, video-capable media player, voice recorder, handheld, speakerphone and more. Don't look now, but the smart phone of the future has arrived. 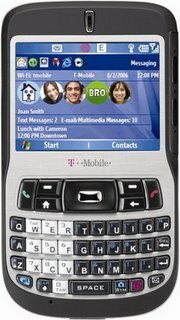 RIM's BlackBerry 8100, the Pearl, is the first of a radical new generation of smart phones. The impact, or importance, of every groundbreaking device for shaping the direction of mobile electronics is clear only in hindsight. It's hard to remember now, but when the radical, influential devices first shipped -- the Sony Walkman, the Palm Pilot, the RIM BlackBerry, the Apple iPod -- it wasn't immediately clear that these products would dominate their markets and influence the direction of mobile electronics. The Pearl is just such a groundbreaking, genre-killing, trend-setting device. And although the Pearl is getting rave reviews, its full impact has not yet registered with the pundits or the public. It will. This phone is destined for fame and glory. Citigroup, MasterCard Worldwide, Cingular Wireless and Nokia today announced a consumer technology trial of Near Field Communication (NFC)-enabled mobile phones with MasterCard PayPass(TM) contactless payment capability in New York City. The goal of this trial is to evaluate the speed and convenience that "tap and go" payments made through mobile phones can provide to Citi credit cards and Cingular customers in the New York City area. The trial is expected to run three to six months. Pre-selected Citi MasterCard cardholders with Cingular Wireless accounts are participating in the trial and will receive Nokia NFC-enabled mobile phones with MasterCard PayPass payment functionality. MasterCard PayPass is a "contactless" payment program that provides consumers with a fast and convenient way to pay. Mashable compiled a list of 19 Social Networking sites where you can get paid for creating and sharing content. Well, while it looks very promising, its time to build filters that can cut content exclusively created to make money. Soon, one can expect books and blogs fluorishing on teaching how to make money on Social networks and soon just like SEO, there will be SNO, that can take you content to top levels irrespective of quality of content. And ... cycle of crap factories will repeat, yet again. With the top YouTube users becoming paid shills for Coke, and the top Diggers being accused of taking â€˜cash for Diggsâ€˜, it seems that the users of social sites are looking to be rewarded for their efforts. In fact, there are already plenty of services that will pay you for your participation. Here are nineteen of the best, plus a few bonuses. Source: 19 Ways To Make Social Sites Pay - Mashable! Cingular To Hike SMS Price? 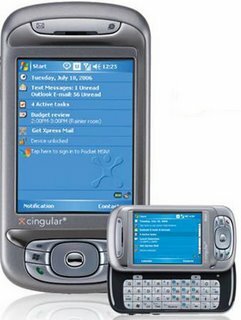 There is news around that Cingular is going to hike SMS price to 15 cents per message from its current 10 cents per message. Effective January 21, 2007, the pay-per-use pricing for SMS and IM will increase to $0.15/msg. This will affect all postpaid and Pick Your Plan customers who do not currently subscribe to an SMS package. . . Notification will be in the December bill and in [an] SMS sent to Pick Your Plan customers. Source: GigaOM Â» Cingular To Boost Text Rate? Recently I learned Bangalore Set To Beat The Silicon Valley when a Hindustan Times news item that declared Bangalore to be the second WiMAX city ahead of Silicon Valley and caused Silicon Valley to spur into action to pump up their efforts. Now GigaOM reports an announcement by BSNL to go WiMAX to powerup six Indian cities. Certified WiMAX took a big step forward in India today, when local incumbent Bharat Sanchar Nigam Ltd (BSNL) announced that it would roll out fixed wireless networks in six Indian cities, and will offer high bandwidth connections to corporate customers. The cities where networks would be rolled out include Kolkata (in West Bengal), Bangalore (in Karnataka), Chennai (in Tamil Nadu), Ahmedabad (in Gujarat), Hyderabad (in Andhra Pradesh), and Pune (in Maharastra). Thats quite a wonderful news. I recently mentioned that MIT OpenCourseware project started hosting Video/Audio lectures as well for some select courses. Thats an excellent opportunity to go to MIT and take a class without ever leaving your home. I never studied formally about Computer Algorithms. So I started taking the course : 6.046J / 18.410J Introduction to Algorithms (SMA 5503), Fall 2005. After spending so many years in Software Development, I must admit, I have not much to take away from the first 1 hour 20min class, but here are some thoughts and notes on the size of input. [Source:Wiki] In theoretical analysis of algorithms it is common to estimate their complexity in asymptotic sense, i.e., to estimate the complexity function for reasonably large length of input. Big O notation, omega notation and theta notation are used to this end. For instance, binary search is said to run an amount of steps proportional to a logarithm, or in O(log(n)), colloquially "in logarithmic time". Usually asymptotic estimates are used because different implementations of the same algorithm may differ in efficiency. However the efficiencies of any two "reasonable" implementations of a given algorithm are related by a constant multiplicative factor called hidden constant. The key aspect of Asymptotic analysis is about estimating the rate of growth of required resources to achieve a function, particularly, to estimate the complexity function for reasonably large length of input. If the size of input doesn't qualify for this reasonably large length of input then the analysis just doesn't apply. Then the big question is about knowing this size of input, to be able to apply the concept for each such algorithm. This is the missing piece of the puzzle, often ignored. Often, it was always argued that one algorithm is much better than the other, as that is what being taught in class room or mentioned in academics. For general problems like sorting, we might get an extensive analysis available in books and papers. But when it comes to problems that are specific to a domain, there is not much analysis available. We must do on our own to find out what is a resonably large size of input means for our problem. If we can learn how to do this, then we can apply our understanding of Asymptotic analysis in real life problems. This is the reason we might have multiple algorithms in a solution rather than having just the 'BEST' (as per some CS grads) algorithm. Can You Learn How To Dream ? Can You? The following article says that You can. And it literally says that you can dream whatever you want to dream. huh! Dream to me is what your sub-conscientious mind thinks when you are sleeping. Well, if you can teach how and what your sub-conscientious mind think, then, paradoxically, it is not your sub-conscientious mind any more. Isn't it? I do not know how night dreams influence (except a few stories and movies), but I strongly believe in day dreaming. Day-dreams are your direct thoughts out of imagination, and hence they are the blueprints of your future if you have the courage to act on them. What is a dream? According to Wikipedia, A dream is the experience of envisioned images, voices, or other sensations during sleep. However we are not talking about dreaming while we sleep, we are talking about dreaming while we are awake and conscious. We are talking about imagine and visualize what is our future scene looks like. Basically dreaming is the first step for whatever we want to achieve in our live. Dream sounds like something intangible and untouchable. For example when we heard somebody saying that they had dream that they becomes a millionaire, then normally we will treat this as day dreaming. Many of us lost our courage to dream when we grown up. When we wanted to be somebody, people will tell us that it is impossible. As times goes by, We lose our ability to dream. We donâ€™t know how to dream and even donâ€™t know what to dream. However we should be aware that we need to continue to dream. We need to choose to dream and dare to dream. Without dreams, life would be meaningless because we have no future. If we donâ€™t know how to dream, then we got to learn how to dream. There are a lot of books and materials outside that teaches us how to dream. We just have to go out there, open our eyes, look for it, read it, and do it. For example Marc Allenâ€™s book of â€˜The Type Z Guide To Success with Easeâ€™ illustrate some good techniques and examples that shows us how to dream. Recently I relearned how to dream properly. I force myself to dream. At the beginning, it is difficult, because I donâ€™t even know what to dream. But after sometimes, it becomes a natural things. I can dream of the same scene every morning and before sleep and whenever I am free. Basically you need practices to do this. Earlier this year BBC World News produced a documentary, Race to the Top of the World - India vs China that compares China and India on the way to becoming the Economic Super Powers of 21st Century. One of the striking message in the documentary is that India is differentiating itself from the rest of counterparts by pioneering Innovation and focusing on Quality rather than Quantity. Now Economist has a story that affirms a similar message, particularly taking Automobile industry as an example. While India looks to be leading on the Innovation front, on the domestic market consumption, China looks much better. Particularly in the Mobile World. WITH 6.6m new subscribers a month, India is in the grip of an unprecedented mobile-phone boom. Figures released in September showed that India had overtaken China in new subscribers per month for the first time. India still lags behind China in total subscribers, with a mere 136m (up from 75m a year ago), compared with China's 449m. But India's government is confident that this gap can be quickly closed, and that it will meet its target of 500m phone subscribers by 2010. While growth in the recent months has been very encouraging, I believe, this growth rate can not be sustained for more than a few months. Growth in India, where sales will more than double this year, will probably slow to 7 percent next year, said the Japan Electronics and Information Technology Industries Association. And catching up China's 449M subscriber base is going to be a very tough task. I don't believe the target of 2010 is realistic at all. More over, the future of Mobile Technology, the new 3G is quite unclear at this point in India. But China is spearheading in that front too. It’s Not About the Gizmo (It’s About Elegance). Another wonderful manifesto within a ChangeThis Manifesto. Why Simple is Better. And Elegance is much better. Mention innovation, and people immediately think, technology. The truth is that business innovation is about value, not gadgetry. But the pace of technological progress sweeps us off our feet and we get all caught up in the gizmo, losing sight of the why behind the what. People donâ€™t want products and services. They want solutions to problems. Thatâ€™s value. And when it come to solutions, simple is better. Elegant is better still. Elegance is the simplicity found on the far side of complexity. An elegant solution is one in which the optimal outcome is achieved with the minimal expenditure of effort and expense. Elegant solutions embrace an overarching philosophy of doing far more with much less, a notion that has become synonymous with Toyota and is present to this day in all of their operations, from design and engineering to manufacturing and distribution to sales and marketing. An elegant solution is recognized by its juxtaposition of simplicity and power. The most challenging games have the fewest rules, as do the most dynamic organizations. The most memorable films have a simple message with complex meaning, touching a universal chord while allowing multiple interpretations. An elegant solution is quite often a single tiny aha! idea that changes everything. Finally, elegant solutions arenâ€™t obvious, except, of course, in retrospect. Rob Greenlee points to a couple of articles that discuss about Cellcasts and Mobilcasts. Question simply put, Do you want to listen to streaming music or downloaded music on your cellphone? Here is an article that talks about "Cellcasts". I also found another more recent article talking about The Coming Age of the â€œCellcastâ€ or â€œMobilcastâ€ : Resource Shelf blog. This mobile service (http://wap.upsnap.com) offers a number of features and is one that weâ€™ve mentioned on ResourceShelf for several years as a mobile portal. They provide several free features (local directory search, sports scores, price comparison info and more) along with audio content. They also a number of podcast and other types of audio programming. UpSnap delivers the audio material over the plain old telephone system (U.S. phone numbers). After you select the program, youâ€™re given a phone number to dial and the program begins playing. UpSnap also offers SMS access. Stream to your mobile, thousands of podcasts. Select from various formats (.m3u,.pls.,ram,.asx). Stream direct from the WAP site or use a Java client (will not work with Treoâ€™s). Sample entry. Note: Itâ€™s also possible to download the cast. Producers can submit their podcast for inclusion. ++ Works on Nextel, Sprint PCS, T-Mobile networks as well as Rogers, Cingular, and AllTell. ++ MoboFlix is a new service allowing users to upload video content directly from their phones. The new AOL UnCut service (free) also provides this feature. of mainstream radio stations in the United States, United Kingdom, Canada, Australia and Ireland and created direct links to the URL where they stream their audio from. A real time saver. Those of you who have devices that can play Windows MP3 files, some Real content, and steaming MP3 (Shoutcast) will want to take a look here. Impressive!!! Simply enter the url of any podcast and within minutes a phone number is provided to dial-in and listen to the program. Similar to UpSnap. A directory of podcasts is also available. If your favorite podcast isnâ€™t already in our directory, you can add it immediately and itâ€™ll be available to call within minutes. See Also: MobiTv offers streaming video from CNBC, MSNBC, Discovery and other networks for smartphones. Fee-based. See Also: The term â€œcellcastâ€ has been bouncing around since the Spring. We first found it used in an article by Olga Kharif in TechNewsWorld. Kharif also wrote a related article for BusinessWeek. Georgia Tech : Mobile Applications and Services with IMS by Russel J. Clark. Georgia Tech, Cingular Wireless, and Siemens Communications are kicking off a new research program in IMS applications. This initiative brings the students and faculty of Georgia Tech an opportunity to gain early, first-hand access to the latest telecommunications application architecture. The IMS program is a joint effort of the Georgia Tech Research Network Operations Center (GT-RNOC) of the Office of Information Technology and the Georgia Electronic Design Center (GEDC). During the summer of 2006, Siemens is installing the IMS technology platform (valued at $5 million) in GEDC labs located in the Technology Square Research Building. The campus Wi-Fi infrastructure will be configured to enable access to the IMS platform for researchers. This course provides an introduction to the IP Multimedia Subsystem (IMS) and covers the process of developing an application for IMS. The IP Multimedia Subsystem (IMS) is the next-generation standard in telecommunications network architecture, enabling a leap forward for voice, video, data, and multimedia applications. Telecommunications companies will soon use IMS technology to offer new services that subscribers can access from any location on a wide variety of devices. The students in this class will learn to design and develop these new services. Ajit Jaokar offers two different courses that cater to IMS/Mobile2.0 and Web2.0 @Oxford. They are sure the latest topics. Only question is what he has to offer. Since both the topics are quite a mystery for most business analysts and Marketers and technologists alike. â€¢ Is IMS necessary for Web 2.0 services? Source: Mobile Web 2.0/IMS/User Generated Content/Mobile Network Operators training course .. If you are lucky to be around Oxford and interested in Mobile2.0 or Web2.0, You may attend. But both topcis are pretty hazy, that no one seems to have clarity and conclusive ways of either leveraging them for business or understanding how they really work. Most industry analysts and marketers are finding it hard to understand what turns ON this web2.0. How to create business streams out of this explosion. But, it is interesting that he(Ajit) is attempting to discuss them. http://forgedbyims-research-competition.com/index.html)Georgia Tech, Cingular Wireless, and Siemens Communications are kicking off a new research program in IMS applications. This initiative brings the students and faculty of Georgia Tech an opportunity to gain early, first-hand access to the latest telecommunications application architecture. The IMS program is a joint effort of the Georgia Tech Research Network Operations Center (GT-RNOC) of the Office of Information Technology and the Georgia Electronic Design Center (GEDC). During the summer of 2006, Siemens is installing the IMS technology platform (valued at $5 million) in GEDC labs located in the Technology Square Research Building. The campus Wi-Fi infrastructure will be configured to enable access to the IMS platform for researchers. Fantastic analysis of why there is no one BEST product or one killer application in any market space, but there will be 10s of products each targetted for different customer groups. Nice overview of Chacha at Read/Write Web, a real Human Intelligence powered search engine that help you find what you are searching for. In this article we look at ChaCha, a search engine which brings a fundamentally different kind of intelligence to the problem - human brain power. The current implementation of ChaCha offers a combination of automation and people-powered search. The results can be organized by a vertical, like images or news. Also it has a set of related searches. But by far the most interesting and unusual aspect of ChaCha is its people-powered search. ChaCha employs people to help users sift through the results. This is cleverly done using a familiar chat interface. When you first come to the site, you are presented with a standard search box. Type in a query and you get back a traditional list of matches. In the testing we did, we found both the performance and quality of the results to be quite good. The problems you owed to the PC and the iPod example looks a bit funny. Its like comparing Electricity delivered to your home and battery on your cellphone. Electricity can do many things for many of us while cellphone just does one special thing, power the phone. Does Electricity's genericness, flexibility and non-portableness makes it any inefficient and useless than a battery? To the point of flexible frameworks, What we must build is a platform that is agile and "flexible to adapt to any future requirements" than specially customized to current requirements. In simple words, build frameworks and Engines. Not monolithic platforms. Blogging platforms are an excellent example. As they built engines and templates, customization and specialization became so easy. Even the evolution to the new markets is just a jiffy. Many are tempted by specialized market segments to build a very specialized product/platform, for whatever reasons. Most lively example, at any given day atleast one new social networking website is started that focus on a very narrow group of people. And what inspired them to start a social networking website in the first place? Probably a myspace, a generic social networking site that caters to everybody on the web. Does this virute of 'generic and caters to all' make myspace any inefficient? Scared of failure to differentiate is forcing some entrepreneurs to choose narrow and specialized segments, leaving the most profitable but highly competitive and broader market segments. This is all assuming that they can make money in a narrow sector with less or no competition. Missing the whole business 101. If there is MONEY in whatever segment you choose, there WILL BE a competition sooner than one can think of. You can't escape competition. If you must, then you are escaping money too. There is no money making business that doesn't have competition. "Apparently more than 90% of internet traffic lands up in the US. Partly because, all the DNS servers are sitting there and no matter what, the address resolution happens there in the US." - I am sorry. I don't quite what you are saying. How does DNS resolution has something to do with international bandwidth consumption? 99% of time, DNS query from India never crosses the border, owing to DNS Caching, at every level in the path. Something seriously wrong with DNS Servers configured at ISPs, if they ever hit more than 1% of time. As per my understanding, all major sites have localized servers. You might run a traceroute to see if what ISPs are saying is accurate. We seem to have a new classification of information available on the web. This time from Rajesh Jain(Emergic). Now Web: Now is about incremental in Time. It is about events that are happening now. New Web: The New Web can be thought of as incremental in Topics. A legacy search engine will index a page, but an incremental web search engine will focus on the feeds. Feeds are the containers and carriers for microcontent. Near Web: The Near Web can be thought of as incremental in Space. It is the Web that is around where we are physically present. It is a world of shops, malls, schools, hospitals, traffic, and much more. Neighbourhood events can be posted on to specific pages, organised in a weblog-format. By using standardized forms to do the post, it is possible to capture the information in XML format and use a matching engine to send out alerts to people. It looks cool to put what we already consume on the web in a different perspective if not new perspective. We are missing the 4th dimension, though. Networking web. Where we buid a new lifestyle around a group of people considered to be in our network. We don't share everything or interact with everybody, but with just people in our network. We are not interested in now-new-near web of entire world, but just within our own network of people. Does it make N3 really N4 ? Its great to know that MIT started including Video and Audio sessions of lectures at MIT OpenCourseWare Project. If you are interested in Algos, you might take a look at this. This course is also very good. It looks more like my video iPod at first look. But its lot lot more than that. 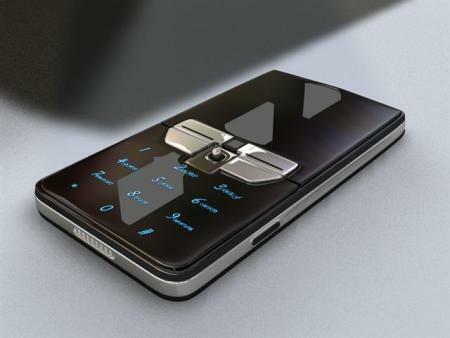 You can view more photos at the blog post Gorgeous New Sony Ericsson Concept Phone. Concept Phones are great, as they show what designers can do when they don't have to worry about the mundane stuff, like actually fitting electronics into their designs. 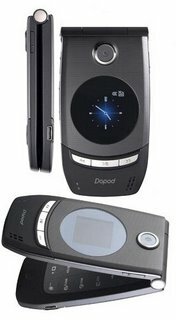 I mean, just ake alook at this: this is a new Sony Ericsson CyberShot concept phone that looks simply breathtaking. As slim as a credit card with a 3.2 megapixel camera, sleek slider design, and OLED touch sensitive keypad, this is a phone that would sell by the bucket load. I never really cared to look at the price of international roaming. I happen to read Carl at MobHappy quite regreting browsing internet while in Amsterdam recently. I just looked up for different carriers in USA and their charges for international roaming. If you think T-Mobile's $15/MB is exorbitant, think again. Cingular charges $20/MB while in Netherlands. The price is anywhere between $10 and $26, depending on the country and carrier. For a sample, I included T-Mobile pricing. Surf and send without missing a sight. T-Mobile offers wireless Internet and e-mail convenience around the world in 90 countries and locations. So, Next time when you are traveling outside your country, keep a watch on your internet usage on your Mobile. Semantic Search with Hakia, NOT YET !! Read/Write Web Reviewed a new search engine 'Hakia' that attempts to understand what you really want to search, instead of searching purely based on keywords. Does it Understand the Meaning? Does it understand the meaning at all is a big question and I am not quite convinced at all. But as a niche competitor to Google, it might get lots of eyeballs, though I bet, they may not frequent it, YET. The first company we'll cover is Hakia, which is a "meaning-based" search engine startup getting a bit of buzz. It is a venture-backed, multi-national team company headquartered in New York - and curiously has former US senator Bill Bradley as a board member. It launched its beta in early November this year, but already ranks around 33K on Alexa - which is impressive. They are scheduled to go live in 2007. 1. What is the best city in US to live in? 2. What is the best company to work for in US? 3. What is the best place to shop for Video Games this Christmas? As you can see from the results, 'search with Meaning in Mind' is not there YET. I don't know if their search engine tunes itself based on user searches. But there is no sign yet that it understands what I am trying to search. Funny Error Message from Technorati, when I tried search for incoming links to my blog. There seems to be an internal problem in processing the search. But its quite a creative way to get the message through. Here is the message snapshot. Full snapshot here. Click on the image to enlarge. Quite often we will be bombarded with crazy error messages, geeky explanations and crappy error codes. But Technorati handled it quite well. They say all they wanted to say, just so you understand it. Great. 12 Days of Christmas video clip re-worked Indian style. Performed by animated popstar, Boymongoose and Indian boyband. Quite Funny. I asked "Would you like to carry an iPod, a Sony recorder, a Palm PDA, a cell phone, a digital camera, a gaming console, a GPS navigator, a jump drive, a laptop, â€¦â€¦â€¦â€¦â€¦.. OR a cool smart Cellular phone?" at my blog, "The Cellular Life Style". I stongly believe that Smartphone will rule the markets and also posted my thoughts why it is so inexpensive to buy a multi tasking phone than buying individual gadgets that can do one thing better (Busting The myth of Smartphone Market). 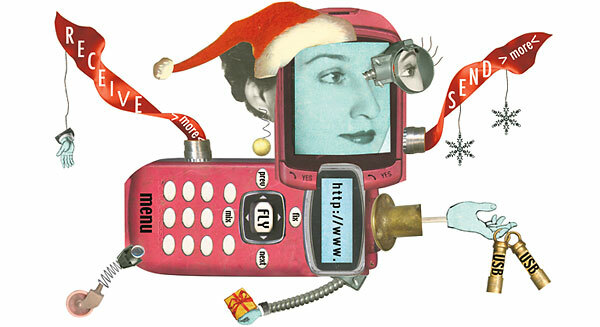 NewYorkTimes reports about some surprsing skills that new cellphones are equpped with this Christmas, indicating the trend towards Multitasking phones instead of plain old cell phones, that can just do one thing better. You don't need to own a smartphone or a blackberry to do multiple tasks. Almost all new phones are like smartphones that can do whatever you need. The illustration is what caught my eyes. I strongly believe that Smartphones or Multitak phones are going to rule the markets. I even attempted to illustrate my belief of future phones in a simpler, not-so-eye-catching fashion. Also, I explained why it is less expensive to buy a multi tasking phone than buying individual gadgets that can do one thing better (Busting The myth of Smartphone Market). Cellphones Can Not Kill You ! There were apprehensions about possible health hazards of using cell phones. Some countries even banned using cellphones by kids and in schools to minimize exposure. Read about various effects, believed to be caused by using cellphones at wiki. On the otherhand, cell phone users continue to grow around the world, largely fuelled by the middle classes in China and India. In the USA, a small number of personal injury lawsuits have been filed by individuals against cellphone manufacturers, such as Motorola, NEC, Siemens and Nokia, on the basis of allegations of causation of brain cancer and death . So far, most of these lawsuits have been dismissed by the courts, on lack of scientific evidence of such a causal relationship, and this has been reducing the motivation of tort lawyers to pursue these health injury lawsuits. For those who believed in the health hazards linked to increased risk of cancer caused by chronic use of cellphones, here is a good new for you. Danish researchers have found no link between cancer and long or short-term cell phone use during a 20 year study of 420,000 mobile phone users. The study, published in the Journal of the National Cancer Institute, matched Denmark's cell phone records against the Danish Cancer Registry. It followed people who started using cell phones between 1982 and 1995, checking them for a range of cancers in 2002. Even though 52,000 of them had been talking away on cell phones for 10 years or more - back when analog cell phones generally emitted more radiation than digital phones do now - the study found their cancer rate was no higher than that of the general population. Researchers concluded cell phone use was not linked to a higher risk of tumours in the brain, salivary glands, eyes or around the ears - even for those who has been using cell phones for a decade. The study is the largest yet to find no cancer risk associated with cell phones and the radiation they emit. Just to be sure, Copenhagen's Danish Cancer Society plans to continue tracking Danish cell phone users until some have used the phones for 30 years. What Makes A Cellphone Truly Yours? What makes a cell phone off the shelf truly Your Phone? The Ringtones, faceplates, holders and your headset together can make it the faceless box off the shelf truly your OWN and speak your style. Washington Post displays pictures of 4 different phones that are customized for Girls with rhinestones, colorful keys, tattoos and designer cases. Technology for Girls Companies are trying to get technology in touch with its inner fashionista, marketing to women and girls by tickling them with pink phones and rhinestones. Click through some of these new designer tech toys now available. Browse through some of the cool products at Amazon to make your cellphone truly yours. You can visit The Cellular Life Style Boutique for cool collection of Phones and accessories available at Amazon. The Cellular Life Style Boutique is an Amazon Affliate store bringing you the Best of Amazon in Mobile.